Welcome back. In one of my earliest blog posts (Lawn, Garden & Squirrels Photo Addendum), which was an addendum to a post voted exceptionally humorous (Time for Lawn and Garden), I described my wife Vicki’s struggles to defend birdseed from squirrels. 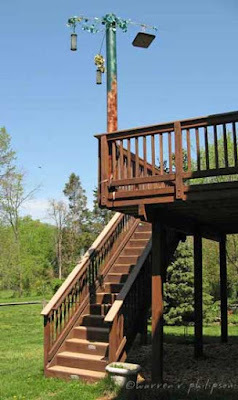 After failing with commercially available, squirrel-proof bird feeders, she painted and stood a pvc tube, about 8-foot tall, 8-inch diameter, on our deck and hung bird feeders and faux vegetation from its top. As I wrote: Was it fear of jumping, missing and falling that restrained the squirrels, or were they just laughing too hard? Whatever it was, it worked for a couple of days. Although I needed no further insight concerning squirrels’ problem-solving ability, researchers from the U.K.’s University of Exeter felt differently. They set out to examine how memory, together with behavioral traits, enhance squirrels’ problem-solving efficiency. The researchers assessed five gray squirrels’ ability to retrieve food from the same puzzle box the squirrels had overcome 22 months earlier as well as from a physically dissimilar puzzle box that required the same actions for success. The original puzzle box was a transparent plexiglass cube, outer dimensions about 10 inches. Ten holes were aligned vertically on each side, and 10 levers were inserted through holes on opposite sides. One end of each lever had a container for a hazelnut positioned just inside the box; 5 levers held a nut, 5 were empty. The box stood on legs, allowing space for squirrels to obtain nuts that fell from the containers. The most effective squirrel behaviors to obtain a nut were pushing the end of a lever near the container or pulling the opposite end. Pulling the near end or pushing the far end wouldn’t work. The new puzzle box added for the study was an A-frame, four-sided triangular prism. There were only 5 levers inserted through side holes, which were horizontally, not vertically aligned. 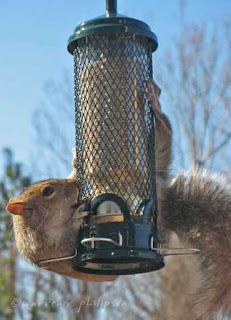 The effective and ineffective squirrel behaviors for retrieving a nut still applied, though all of the levers had nuts. The squirrels (Arnold, Leonard, Sarah, Simon and Suzy) were lab residents, average age 6 years, with similar experimental histories in cognitive tasks. The researchers had them participate individually in a series of trials that began when the squirrel touched the box; it ended when the squirrel obtained all the nuts or specified times had elapsed. Encountering a new stimulus, the squirrels took on the order of 23 seconds to make contact in the first trial with the new puzzle box, compared to about 11 seconds in the last trial with the original puzzle box. Once they got started, however, the squirrels needed about half the time to retrieve nuts in the first trial with the new puzzle box than they did in the first trial with the original box (2 sec versus 4 sec) and only about 1 second more than they needed in the last trial with the original box. The researchers used video to analyze four behavioral traits: persistence (rate of attempts), selectivity (proportion of effective behaviors), motor diversity (rate of trying different tactics) and flexibility (rate of switching tactics after a failed attempt). 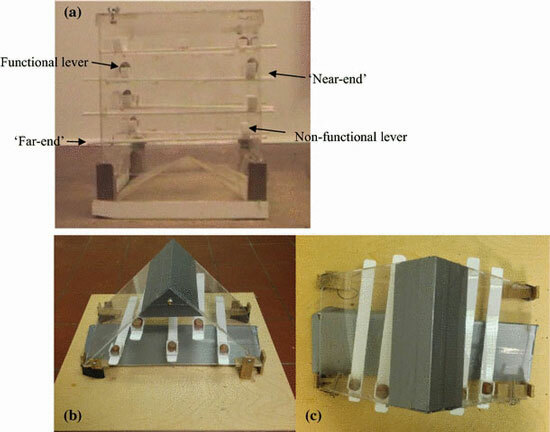 All squirrels demonstrated a high proportion of effective behaviors, reflecting the interaction between memory and behavioral traits for problem-solving. Remembering task-effective tactics, they consistently changed from ineffective to effective behaviors after failed attempts. Now that the role of memory in the problem-solving ability of squirrels (at least five) has been addressed, it’s appropriate to ask: Do squirrels find the nuts they hoard? Here, the findings are mixed. I’ve seen comments about studies that show squirrels fail to recover most of the nuts they bury, but I haven’t seen those studies. In contrast, small sample, controlled studies I’ve reviewed had the opposite results. One article posited that just because a squirrel hasn’t retrieved a nut doesn’t mean that it won’t. Perhaps the answer is muddied by the generally agreed findings that squirrels repeatedly rebury nuts to deter thieves and pretend to bury a nut to deceive onlookers. They’re pretty smart. Thanks for stopping by.